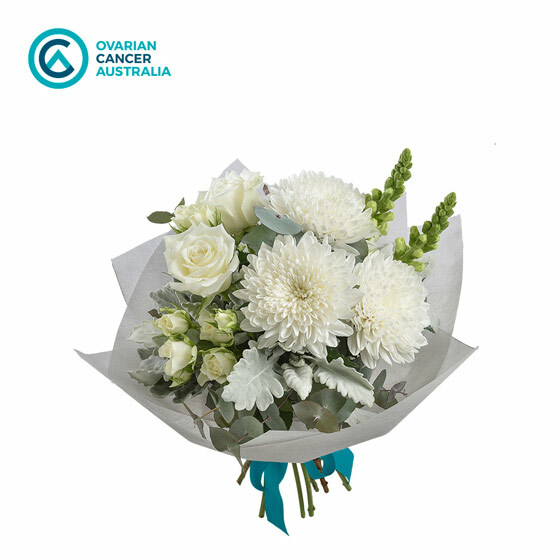 Interflora Australia is proud to announce our partnership with Ovarian Cancer Australia for 2018. 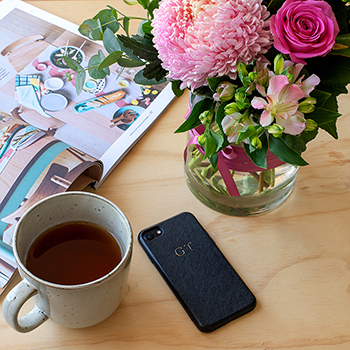 We’ll be supporting this amazing cause with two limited edition floral gifts featuring the white flowers and the teal ribbon; the international colour of ovarian cancer awareness. 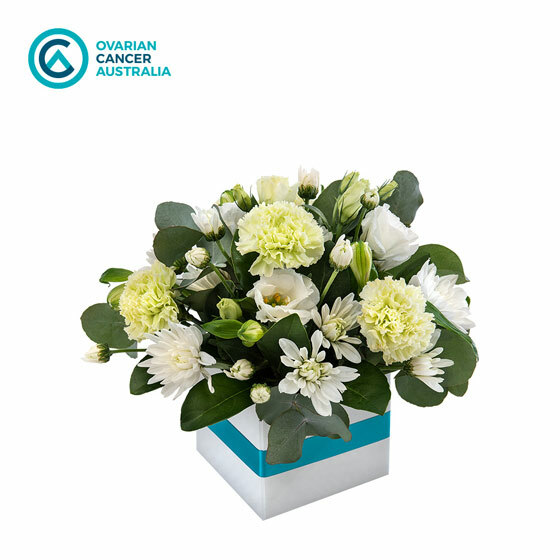 We will be donating 5% of proceeds from the sale of these two arrangements to OCA, to help save lives and support Australian women living with ovarian cancer and their families. Founded in 2001 by people who had been touched by the disease – either themselves or through loved ones, Ovarian Cancer Australia (OCA) is the independent national organisation taking action for people affected by ovarian cancer. Receiving an ovarian cancer diagnosis can leave women and their families feeling isolated, confused and scared. OCA offers direct, specialised support services to help them navigate this journey, including an information and support hotline, face-to-face and telephone support groups, informative webinars, an online forum and factsheets. The most vital of these supports is The Resilience Kit, a support guide for women diagnosed with ovarian cancer. 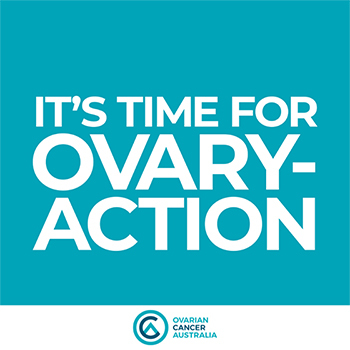 OCA has developed Australia’s first National Action Plan for Ovarian Cancer Research, setting out urgent priorities for research; the organisation also enables high-impact research projects to drive change for women living with ovarian cancer now and for future generations. A core part of OCA’s work is to ensure every Australian knows ovarian cancer. Ovarian Cancer Awareness Month is held in February each year to raise awareness of ovarian cancer, its signs and symptoms, and to let those affected by the disease know they’re not alone. If these symptoms are new for women and they experience one or more of them persistently over a four-week period, they should consult their GP. This September we have launched two special arrangements for this cause, with 5% of their proceeds going to OCA. 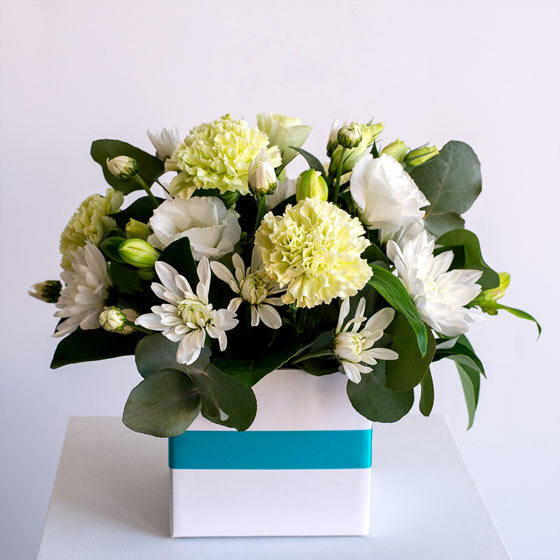 The first is a petite boxed floral arrangement featuring white alstroemeria, lisianthus and chrysanthemums, pale mint green carnations and sweetly scented eucalyptus, perfectly presented in a white box with teal satin ribbon. Support a Sister is ideal for a birthday, new baby or congratulations, and the perfect way to support a sister as well as delight your recipient. Our second OCA floral gift is a stunning bouquet aptly named Resilient Woman. It features white disbud chrysanthemums, snapdragons and roses, with dusty miller and eucalyptus foliage. 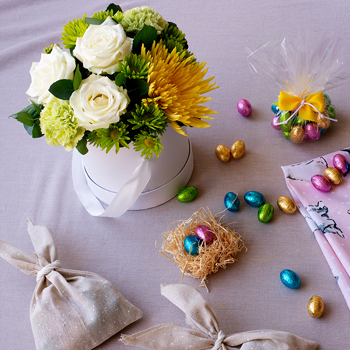 The bouquet is expertly handcrafted and wrapped in soft grey with teal satin ribbon. 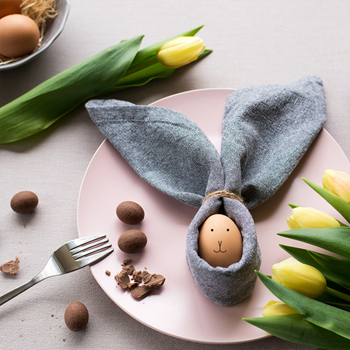 The perfect way to send well wishes for any occasion, your loved ones will appreciate that their flowers are not just a beautiful delivery, but are also helping to support women living with ovarian cancer. Interflora Australia is excited to be able to partner with OCA and we hope that you will get involved and help us support them this year. Sign up now to be the first to receive special offers and promotions. You have entered the words Incorrectly.Please Try Again!